The process of legislating has been one of the most examined areas of political history, yet the behind-the-scenes mechanics remain shrouded in deep public mystery and misunderstanding. In the financial arena, Congress, the U.S. Securities and Exchange Commission, Presidential administrations, and the securities and financial industry represent the sources for its development. In guiding a particular bill from introduction through enactment into law, the work of Congress extends beyond floor debate to the work of committees in drafting and shaping a bill before it faces determination by the full House and Senate. Members have their own areas of interest, and the Senators, Representatives and Congressional committees that oversee securities and financial legislation develop their special expertise. Individual members and standing committees regularly take up new legislation responding to ascendant issues. 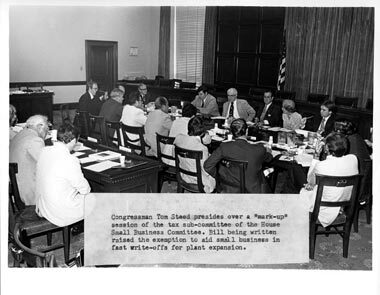 Committees also conduct oversight hearings on the existing administrative responsibilities of regulatory agencies to confirm that the agencies are acting in accord with their responsibilities, ensure Congressional objectives are being met, and address areas where existing law has proved inadequate to new and changing circumstances. (3) For an analysis of how Congress legislates, using several case studies, see Barbara Sinclair, Unorthodox Lawmaking: New Legislative Processes in the US Congress (CQ Press College: Washington, DC, 2011).